Males had the highest amount of workplace violence. Whites and Native Americans had the highest amount of workplace violence. 20 to 34 year olds had the highest amount of workplace violence. Single / Divorced and separated people had the highest amount of workplace violence. Strangers, coworkers and well known acquaintances accounted for the most workplace violence against Males and Females. 1. No weapon was used 77% of the time. 2. Firearms and Knives were used 11% of the time. 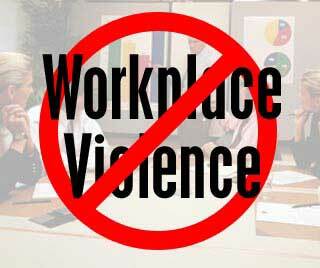 Workplace Violence is a serious issue and accurate facts are needed to prevent it.